In the early 90’s, digatized fighters was this amazing thing that nobody quite believed was possible. Then Mortal Kombat came out. It looked like you were controlling real people, on your TV. With that leap forward in video games, everyone thought the technology would last forever and it was the unrivaled future of video games. But as 3D models got better, photo-realistic sprites went by the way side. 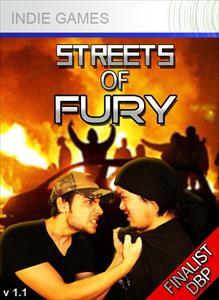 Streets of Fury brings them back with a vengance. The developers knew exactly what they intended to do and they went for it. And gamers like myself who still reminisce about the days of photo-realistic sprites immediately have to get our hands on this game. Take that, and the fact that the Beat’em Up / Brawler genre is one of my all time favorites, and also more of a “thing of the past” this game had me firing on all cylinders. After playing the demo for less than the entirety of the first level, I promptly turned around and purchased the full game. The game has the classic bralwer like interface, individual characters with individual healthbars, the same sprites used over and over again with different palette-swaps. It was a receipe for a win in my book. Some of the animations are extremely smooth, clearly video-captured. But unfortunately, some of the combat feels clunky and unimproved. I wanted it to feel like Batman Returns on the SNES, not play exactly the same. And the unfortunately small pool of ‘actors’ used in the game makes it a bit TOO repetative. Palette-swapped colors, darkened (ala Noob-Saibot) and enlarged sprites did not add enough variety to the game. But where the characters lack, the levels swoop in to the rescue. After each level is a quick bonus round, where the simple goal is to rack up as many kills as possible in a very short amount of time. Literally dozens of baddies flood the screen at once, and the game never skips a beat. Some of the levels are completely abstract as well, taking place in the clouds, with no ground beneath you – but it is still just as fun to whoop up on ten or twenty thugs at once. The game had all of the things that I was nostalgic for in video games, so despite the lack of variety (and some of the typographical errors that this English-Degree having nerd noticed) I have to rate this game very high. It brought back brawlers and digitized actors in a mashup I just can’t get enough of. Here’s looking forward to what these guys will do in the future! 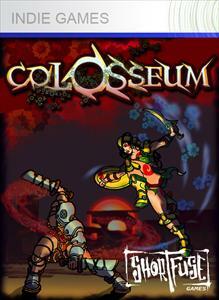 I have to admit, Colosseum was the first “Indie Game” I bought from Xbox Live – and for full disclosure: I bought it on accident. I intended to download the trial version and wasn’t paying attention to the dashboard when I magically bought the game at it’s original 800 Microsoft Points price point. Still, after playing the game, I was absolutely hooked. The control system is unique, and works very well. You use your left analog stick to move your character around the screen and the right stick to attack. And yes, while this sounds like Robotron: 2084 or Geometry Wars, think of using that control scheme to play a game like Dynasty Warriors. Graphically, the game is a treat. Using cell shaded effects like those you would see in Crackdown or the more recent Borderlands, the games art is crisp and stands out beautifully above many other Indie Games on Xbox Live. Cell-Shading, contrary to some people’s beliefs, is not a way to cover up bad graphics: it is merely an artistic and aesthetic choice which, in this case, pays off in spades. The sounds in the game are also outstanding. I don’t know where the captured the sound effects from or if they bought the rights to a package of sounds, but they got a lot of them dead on. If I had to file one complaint, it’s probably just that there is a lot of reading to do, but a story unfolds as you play the game and it doesn’t often bore you to death with walls of text – but the game could benefit from some voice acting added in for effect. It seems like such a high quality production anyway, the guys at Shortfuse should be very proud. When I saw the first screen shots of this game, and even as I loaded it up, I rolled my eyes and thought it was going to be a gigantic time waster. I am glad I actually spent time with the Neo Terra. The game play is fairly straight forward – as time ticks up, each planet gains resources. The resources are translated in to ships that you can send out to try and take over other planets. If too many of your ships are out when your planet gets attacked, your planet can get taken over by an enemy. Now imagine all of that, playing out in real time (turn based strategy is for the weak! ), and it only taking a matter of seconds to win or lose a planet. A battle can last less than a minute, or several minutes. And that’s what I love about this game. Every time you play it’s a new experience, even if the game looks and feels limited. It’s very straight forward, but it is a game of skill, not just who can hammer the X button faster. It’s about knowing if your planets need reinforcements, if the enemy has a planet that is weak and can be easily overtaken. It’s about looking at the entire screen at once and knowing where to send your troops. Graphically the game has some nice backdrops, but the ship sprites are a little juvenile. The sound suffers a lot from a very repetitive selecting sound being about the only sound you hear, but can be easily blocked out if you have multiple people in your living room battling for galactic supremacy. While there isn’t much else going on in the game, it’s really all you need from Neo Terra. The game’s $1 price tag is a statement to that fact: this game is intended to be fast paced, hectic fun, and nothing more. And it achieves that in a way that is incredibly entertaining. If the developers were to take this game and build a story line around it, it would be an instant buy for me. Battle it out in a “quick match” much like you have right now, then take a few moments to let a story unfold? 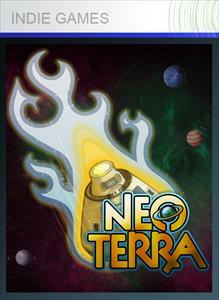 A well deserved break from the frantic game play would be an absolutely perfect formula for Neo Terra 2. Here’s hoping! Beat’em Ups from the 1990’s were one of my favorite genres of games. I couldn’t get enough Final Fight in my life, and when Double Dragon’s Billy and Jimmy came together with the Battletoads, I knew nothing else in my life would come close to that moment. Felix: Tale of the Night (or “Felix Fox” as the game’s artwork suggests), has grounded itself in the classic beat’em up style. Jump attacks, quick attacks, hard attacks, and even some blocking maneuvers are put to work in a great mixture of 2D and 3D platforming. The game plays like your traditional left-to-right side scroller, but will have some elements where you run toward or away from the camera. These moments, unfortunately, aren’t often obvious and you’re left staring at wall wondering where to go next. In the brawler classics, if you stood still for too long, a large arrow would traditionally pop up overhead, advising you to move forward! Felix Fox, meanwhile, left me to guess. No hints or arrows ever appeared. To make matters worse? Some of the level progression involved a skill you didn’t know you had. Felix can wall jump, this is made evident if you take part in the tutorial. 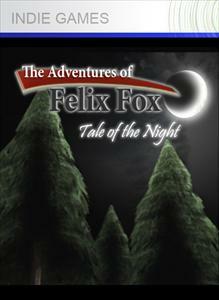 And, unlike many games that feature such a move, Felix: Tale of the Night actually pulls of wall jumps very well. They are crisp and easy to execute. However – Felix can climb trees. Evidently we’re supposed to know that, because shortly in to the first level, you’re left staring at a wall too high to climb, and no other walls to jump off of. A simple sign-post in the background and a “press Y to read” prompt may have even been enough to suffice, but the frustration and embarrassment that quickly sets in as you stare at a wall is undeniable. Add to this random “quick time events” (when will they go away?) and you can see where some of the frustrations begin. Additionally, we’re evidently supposed to realize that the large stump an enemy held was able to be used as a stepping stone and that we would be climbing in to the third dimention – after clmbing trees and walls, realizing I was supposed to press “up” on my controller took me a moment. My final complaint is due to a lack of checkpoints. The game is not overly difficult, and your health bar seems to last for quite a while, but if you make it to the boss of that first level and die? Well, you have a solid ten minute journy ahead of you – with no stim-packs, health vials, or pinecones to replenish your health along the way. Still, despite all of that, the game is down right fun. Mashing a few buttons and flipping a bear over your head, ala Ryu’s “kick” throw in Street Fighter, is a blast. Catching a baddie in a fury of punches and finishing him off with a spin kick is just as satisfying as it was in any classic street brawling game, and the classic side scrolling action at a faster more modern pace is a rush. I don’t see a reason for the setting or the characters, I think the game would be just as fun if human beings were duking it out on the mean streets of some “megalopolis.” The game’s score would suffer more from this 1990’s cutesy animal throw back, but I genuinely see past it and enjoy the different types of enemies and beating them up as they come my way. Worth noting: 1) skip as much dialogue as fast as possible. 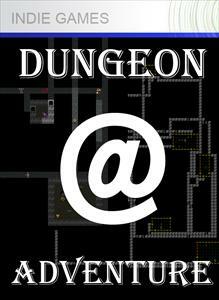 Not that it’s poorly written, to the contrary: you may quietly chuckle to yourself just playing the tutorial. But the sound effects selected for printing dialogue on the screen was an unforgivable detractor. 2) There are some odd graphical “hitches” that seem to slow down the game for a fraction of a second when you’re running too fast. It takes away from the otherwise liquid-like gameplay. 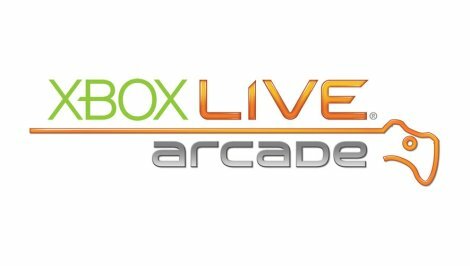 Perhaps I have, indeed, been living under rocks, or working my “real world” job too much, or too worried about my backlog of games, but just for a fun weekend update, I thought I would write up a list of several games (mostly recent) that I had NO IDEA were on Xbox Live Arcade. 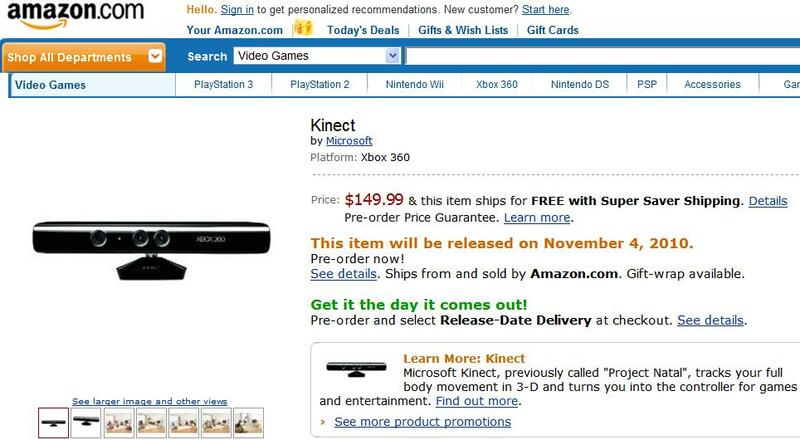 I’m not necessarily saying I like this games, just that I had no idea that existed for us Xbox Live users! In some cases, I know so little about them, I’ll be checking out demos in the near future, and I encourage you to do the same, if a title is new to you! It’s worth noting that none of the games listed below are Xbox Live Indie Games, even if they sound like it – so you should expect to be rewarded with gamerscore if you play these!